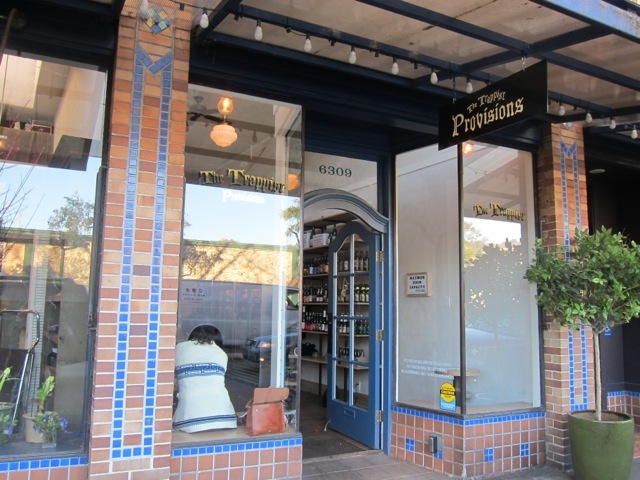 Trappist Provisions is the second East Bay beer stop developed by the owner of The Trappist in Oakland. Unlike their charming and fully designed other venue, this is a simple, basic room where you can go and get your beer provisions. They offer a bar with nine taps, two coolers, a few tables and several shelves from which you can purchase bottles to drink on premise or take away. There is a small upstairs room that is occasionally used for special tastings. Extras: A bonus is that you can easily walk to both Beer Baron Bar and Kitchen and Ben and Nick’s for a nice little beer tour expending few steps. Walking from BART: go six blocks north (toward distant hills) on College Avenue to find Trappist Provisions across College Ave. from Safeway supermarket.